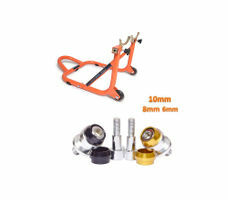 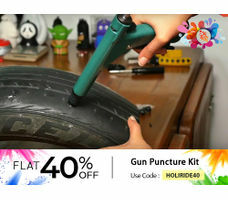 Do your Simple work of maintenance easily with GrandPitstop's Rear Paddock Stand. 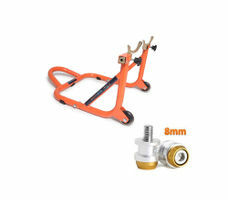 This Motorcycle Rear Paddock Stand can be used for Bikes with or without Spools. It is width adjustable to fit virtually all sport bikes - KTM, Ducati, Hayabusa, Triumph, Honda CBR, Harley Davidson Street 750 and others. 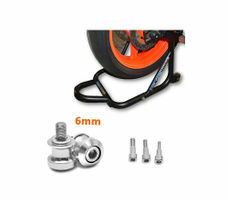 The paddock stand comes in three parts which can be easily assembled into one by tightening two nut bolts. When not in use, it can be broken into 3 parts and stored easily- taking less space. 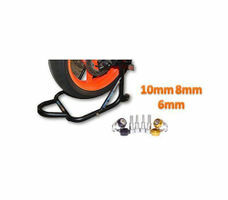 Made to last long, this stand is constructed primarily of heavy-duty steel. 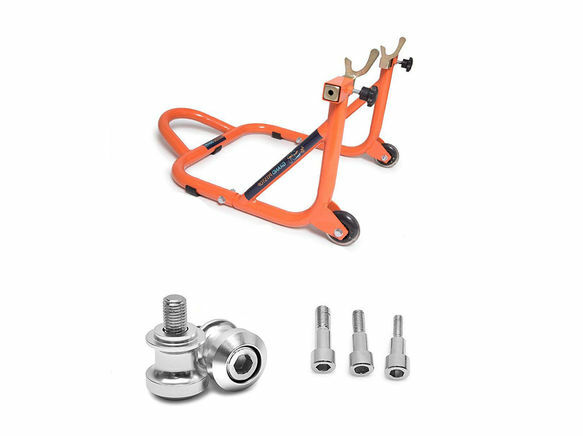 the stand is engineered with a leverage ratio that makes it easy and simple to use without using any extra elongated bars.